Invitation To Handover Ceremony Of Fire And Utility Vehicles, Launching Of Pgo, Clc, Mess & Gym & Presentation Of Certificates Of Fire Brigade Volunteer Coaching, Jbpm, State. The Chapter was represented by Ar.Ho Jia Lit & Ar.Yong Ming Cheong in the morning of 18 December 2010 at Zone Kota Kinabalu office Sembulan. 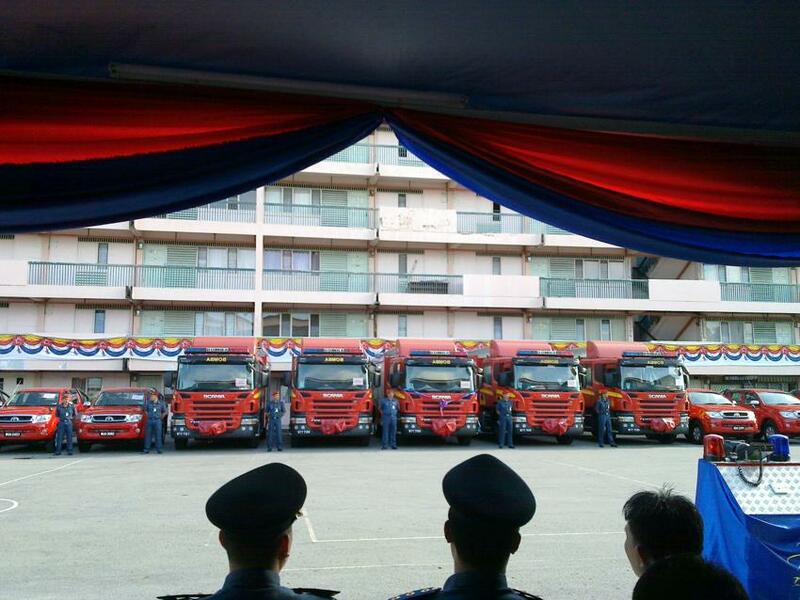 A total of five (5) numbers of 10 tons fire engines were handed by the Ministry of Housing & Local Government from Kuala Lumpur to the State Government of Sabah, together with seven (7) numbers of utility trucks for multi-purpose tasks. 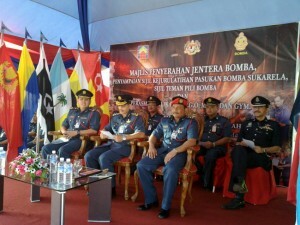 The handing over ceremony was attended by fire officers & departments from all zones & districts throughout Sabah. The representative of the Director General of Fire Services in delivering his address believed that the fire fighting capability of Sabah based operations will be greatly enhanced. Couple with additional training & resources made available, all sectors of the fire department have been upgraded. Besides, with the launching of PGO (Pusat Gerakan Operasi), CLC (Community Learning Centre), MESS (Bilik Mesyuarat Khas untuk Pegawai Kanan) & GYM centres, the facilities & set-up has been modernized. In particular, the fire department is now able to monitor the whole Kota Kinabalu district via satellite images and communications network on any urgent notice for fire operations. Encik Khiruddin Bin Drahman, the Director of Fire Services in Sabah, nevertheless conceded that fire fighting is always a losing battle with losses of lives and properties whenever fire officers are engaged in fighting fire. He informed that they practiced the three (3) Hs at the fire department. Head, Hand & Heart. Head stands for knowledge to prevent fire, Hand stands for action to prevent fire while Heart stands for compassion for aftermath of any fire out break. Lastly, the Director thanked all parties involved in this ceremony. He believed that fire fighting is always a partnership that requires co-operation from the public. The ceremony ended with a tour of the facilities incorporated into zone Kota Kinabalu office at Sembulan & refreshment served. 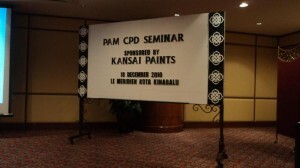 On 18th December 2010, PAM has successfully organized an interesting seminar on “Shikkui, Landscape, Colour in Environology and The Outlook Forecast 2011” held at Le Meridian Hotel, Kota Kinabalu. The seminar attended by 60 participants includes architects, QS and graduate members. 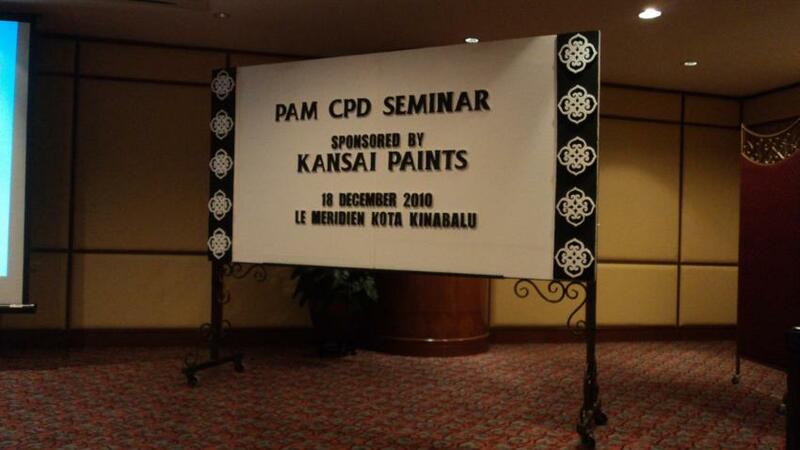 Ms. Carlee Liew, the Marketing Manager of Kansai Paint (M) Sdn Bhd introduces the paint and invited Chapter Deputy Chairman, Ar. Lo Su Yin to deliver his welcoming speech. The first session of the seminars was about “Shikkui” presented by Pn. Julina Zainal Abidin, the Chairman of Malaysia Paint Manufactures Association. According to speaker, Shikkui has Anti-virus Properties in Construction Industry as our environments are affected biologically, chemically and physically specially indoor environment. The pollutions has affected the employers and the staff especially in office. Therefore, the paint can ease the impact by using Shikkui as the finish surface as shikkui can eliminate the formaldehyde and make environmental friendly. 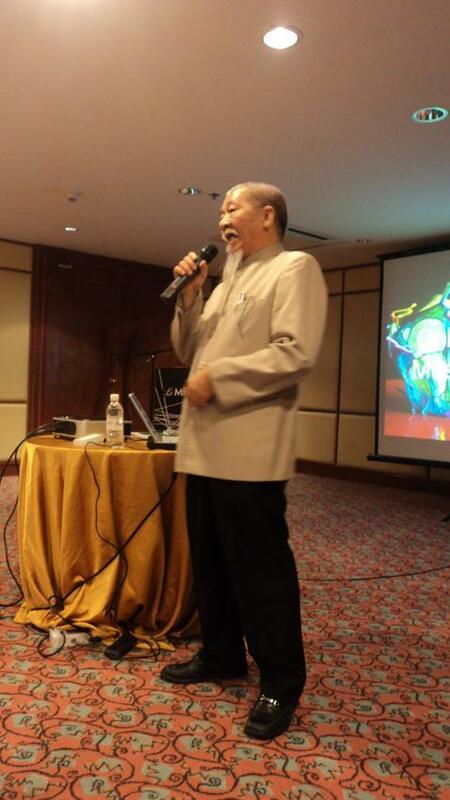 The second session was by the founder of Malaysian Institute of Geomancy Sciences (MINGS), Prof. Master David Koh about Environology and Colour. According to the speaker, colour is last to apply but first to be seen. Nowadays, colour is useful in environment because colour can be use in light, pigment, sensation, language, energy and even medicine. As the speaker is a practitioner, everyone have their own GUA and every GUA have different season love and different colours. Once again Prof. David Koh to deliver his presentation about Outlook Forecast 2011. 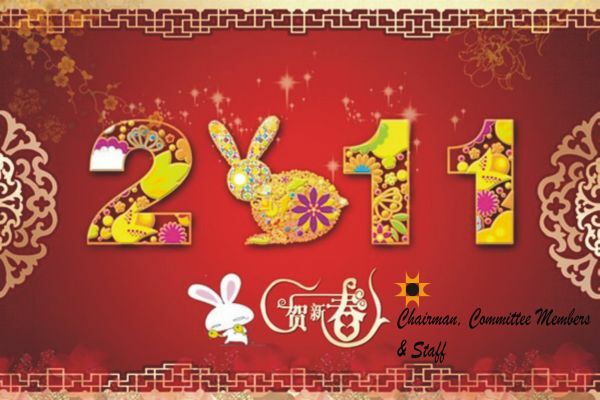 In this session, the speaker briefed all about the outlook for 2011 prediction on many sectors include Economy, Weather, Investment and Politics. 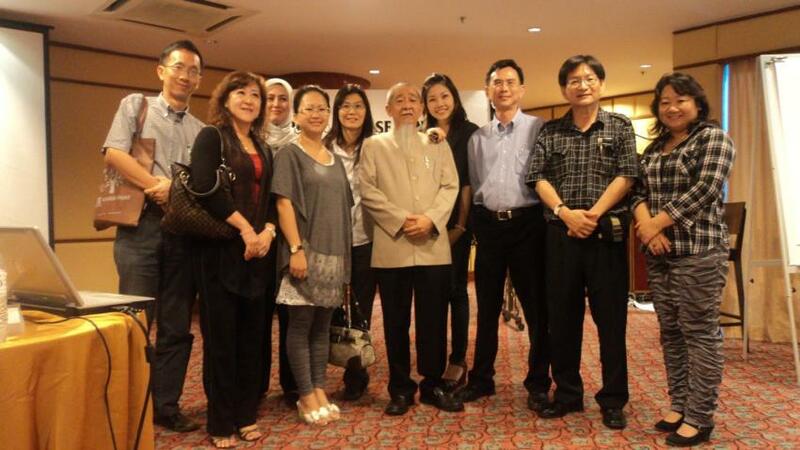 As the ending of the seminar, Chapter Chairman, Ar. Ho Jia Lit thanks to all the participants and to Kansai Paint Malaysia Sdn Bhd on their generous sponsor for the interesting seminar on behalf of PAM Sabah Chapter. The seminar ended at 5.00pm after the photo session.